Click here for the full list of quality shochu and awamori establishments across the globe. Click here for our main review list of bars, restaurants, and liquor stores from around the world! Koan TOKYO is right in the middle of Shinjuku’s lively 3-chome neighborhood, but it’s more relaxed than most of the bars that are on street level. The bar boasts a modest selection of shochu with a focus on imo (potato). They also usually have a maewari available (Sekitoba the last few times we visited), and it’s definitely worth your time if you have at least two people in your party. The one table that they have is actually in a separate room and it can fit five people pretty comfortably. Call ahead though, especially if it’s a Friday or Saturday night, because this place has a number of regular customers that bring their friends by whenever they have a couple hours to kill. 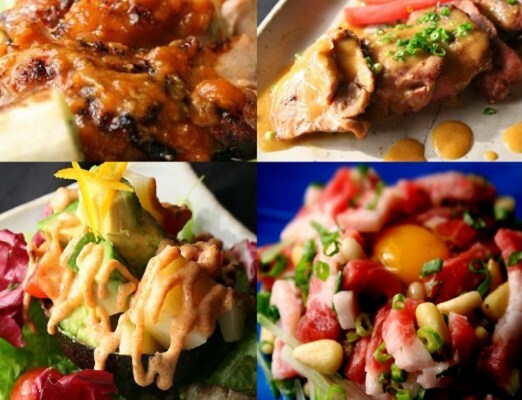 The food is decent, and there’s a distinct focus on miso yakitori which should delight many. They also have a few umeshu and specialty shochu available for folks that enjoy sweeter libations. The menus, however, aren’t user-friendly for folks who can’t handle written Japanese, so it may be helpful to bring linguistic assistance. Click here for the bar’s website (Japanese). Got a place you’d like to recommend? Write your own review here! Find more bars, izakaya, restaurants, and bottle shops that appreciate shochu and awamori here.